Endless rolling mountains and magnificent waterfalls await you! Start checking off your bucket-list as you paraglide off the side of a mountain, teach English to refugees, visit the Dalai Lama’s house, help clean our planet, and discover a new you in an exhilarating 26 days. Time to check it off your bucket list: visit the Taj Mahal. Get in touch with your spiritual self (and perhaps your bendy yoga self) in the Yoga Capital of the World. Embrace your wild-side while white water rafting on India's holiest river. Give back to the community through Environmental Conservation work. Get inspired to learn more, create more, and help save the planet on an organic Farm Tour. Enjoy stunning hikes in the Himalayas, make unique jewelry at Silversmith School, visit the Dalai Lama’s Temple, and much more. 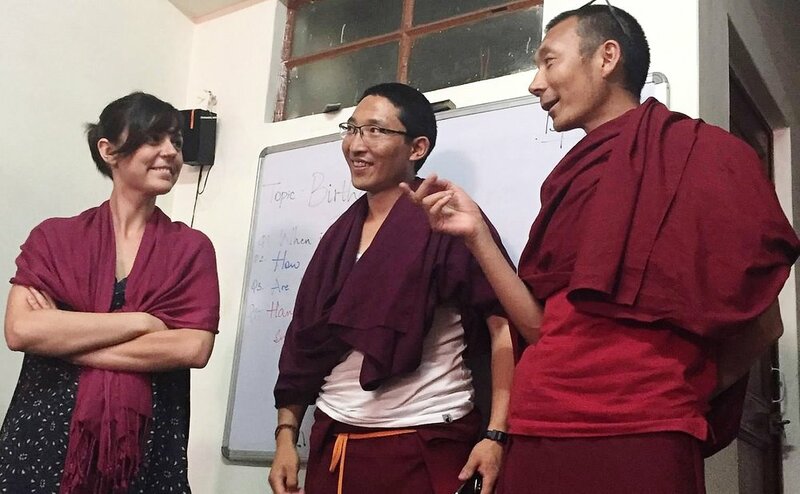 Give back to this incredible community by helping teach English to Tibetan adult refugees. Explore surrounding villages via scooter, seek out waterfalls, and learn some sweet new skills in drum circles. Final days of exploration! Get in your last minute shopping, dish-tasting, and visiting before you all must part ways. May 6 - May 31, 2018.